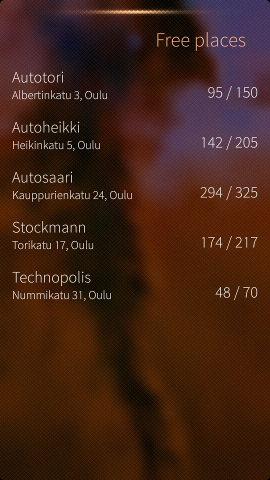 Reservations statuses of parking halls is retrieved from open data provided by the City of Oulu. Application provides short summary of free places in the cover page and a little more detailed information at actual application page. 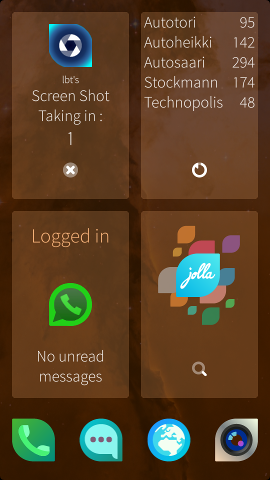 Pull down menu contains actions for refreshing view.